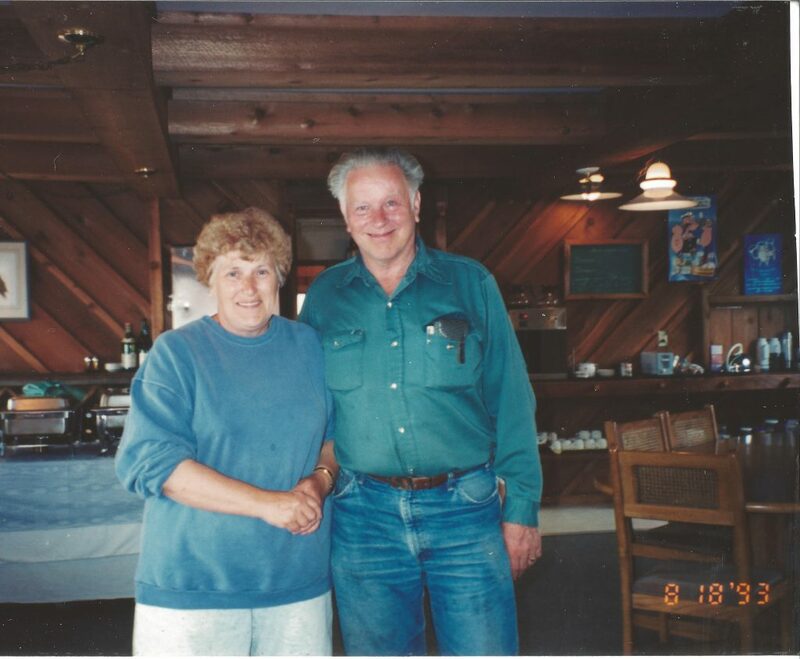 In the beginning there was Irv and JoAnn, and there was Ole’s, and Hakai Pass. 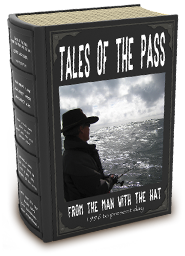 The Man with the Hat had been in the Pass for a number of years but he had not been aware of the little barge tucked behind the island, around the corner from Barney Point, a famed local fishing spot. He had fished Barney many times and had known of a 50 lb Chinook taken from there in his day, and had heard of the legendary 85.5 lb Chinook caught in ’87, the 20 lb IGFA line class record. He came across the barge tied to shore quite by surprise, hidden from view by the island as it was. He had been exploring one day when he approached the little island from the North side and caught a glimpse of something: red and white buildings and a collection of floats, all tied together. It looked like it had been just left there. As he came closer, he was startled to see the menacing rock gauntlet appear just below the surface of the still waters ahead. Unfamiliar with the small bay, he slowed to a crawl and came closer to the barge. There was timelessness about the place; it seemed to have its own purpose: weather-beaten cedar, ageing log floats, half submerged, attesting to their time in the water. Almost like a ghost town but all contained on log floats and a steel barge. But the lights were on, the generator running… someone had to be around. He circumnavigated the camp slowly, imagining the stories held within, and the people who had made them. Then a solitary figure appeared, coming out of the building and onto the deck. It was JoAnn. She offered greetings as she studied the Man with the Hat with curiosity. She smiled, there was a confidence about her, and she was at ease in her place. She was not standoffish or flirtatious but genuinely friendly. Still, you could tell she held her cards close to her chest-there was more to her than one could tell. They exchanged pleasantries of the day and as the Man with the Hat turned to leave he had a strange feeling. Something about the place spoke to him: its integrity, character, timelessness. Little did he know that in a few short years he would be working for Joanne. He would meet Irv, and the three would become partners and begin a journey that would span decades. 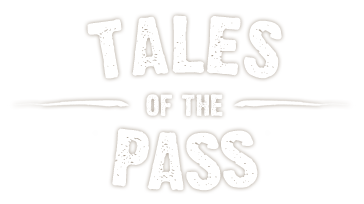 Over the years it would be Irv who taught the Man with the Hat the bowline knot, how to wrap rope around a bollard, set up a water line, and reveal the magic of Hakai Pass to him. 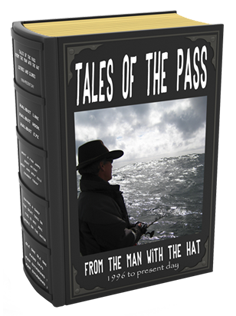 The stories of those years would become the Tales of the Pass from the Man with the Hat. So many stories, so many memories. The good times, the bad, the storms, breaking ropes, breaking hearts, breaking records. Romances, weddings, breakups, conceptions, 9/11. A generation would pass through the doors of Ole’s in the coming years-fathers bringing sons who would later be bringing the fathers, and then, in time, their own sons completing the circle. In the beginning there was no Wi-Fi – letter mail was still the way people communicated over distances, no cell towers-voice calls were handled by a marine operator on the VHF radio. 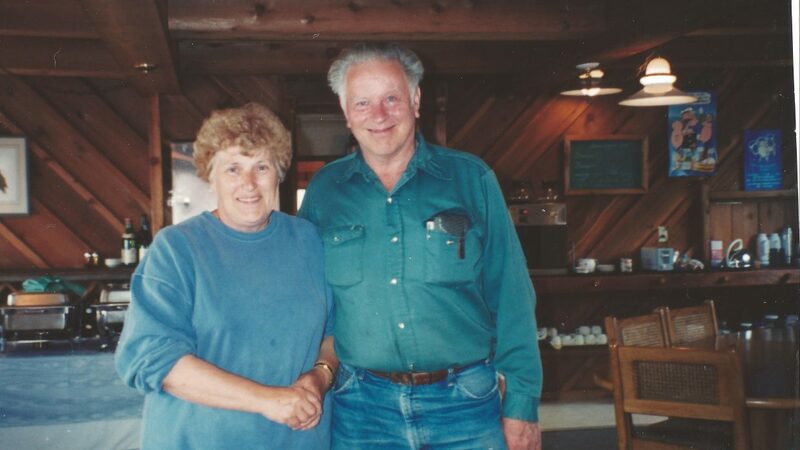 Irv and JoAnn Olsen were the glue that had held Ole’s together with bunkhouses and cookhouses accumulated from years of logging. An old wood chip barge served as the core. Log floats with some trailers were added, and an old building with a woodstove served as the bar float. The smoke rising from the stove being lit was the sign to the boats on the water that the bar was open and time to come in. 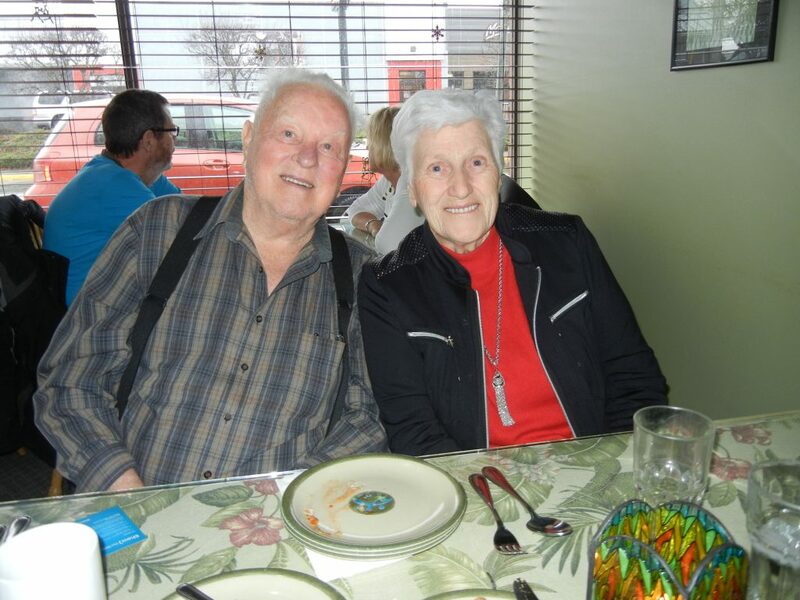 Irv and Joanne had cultivated a following of loyal guests over the years who had become more like friends or family; their genuine hospitality evident on every meeting. The Man with the Hat had very large shoes to fill as Irv and JoAnn would be stepping back from operations, turning things over to him.